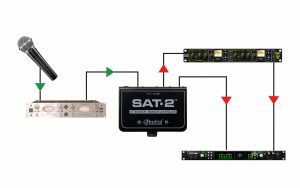 The SAT-2™ is a passive stereo audio device that provides you with a transparent level control wherever you may need it, either at the output of a pair of high-gain mic preamps, or between your recording interface and a pair of powered speakers as a compact desktop monitor controller. 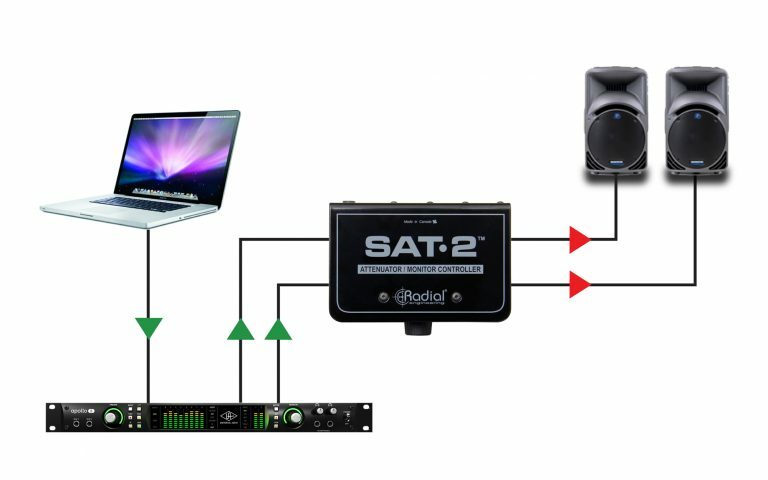 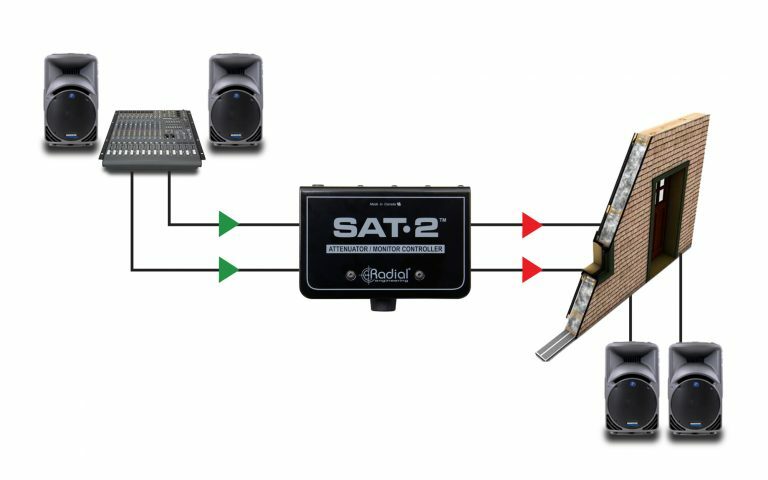 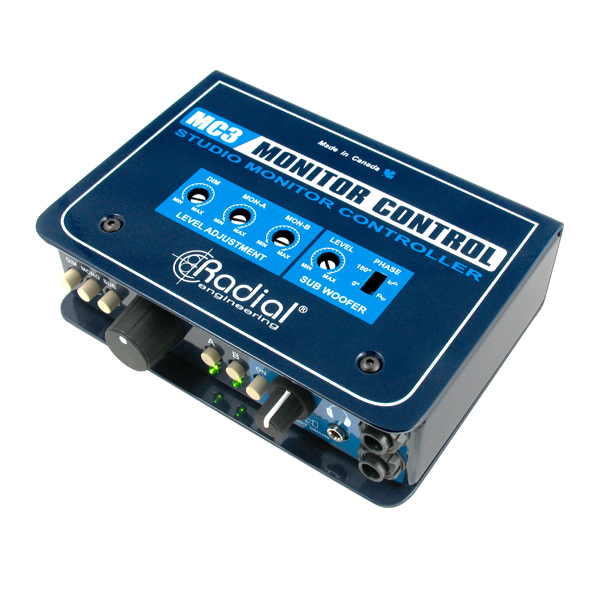 When using the SAT-2 as a monitor controller, simply connect it in between your playback device and a pair of powered speakers for an easy-access master volume control. 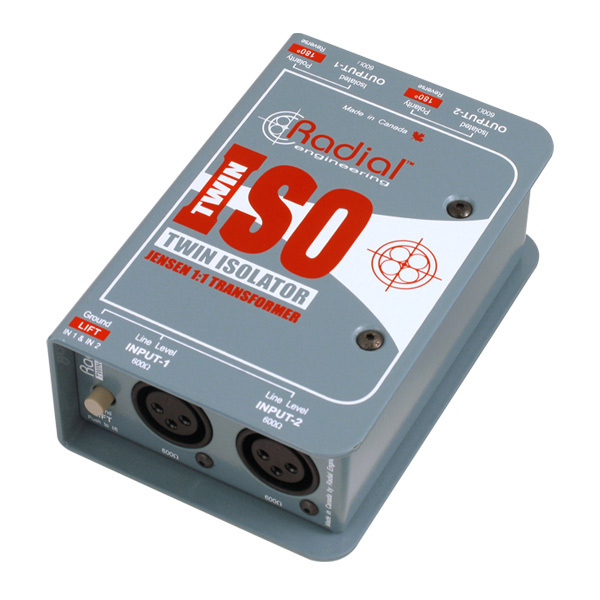 Mute and mono switches allow you to silence the outputs or check mixes for mono phase compatibility, while a handy dim switch with adjustable level control allows you to temporarily lower the output volume without losing the main volume setting. 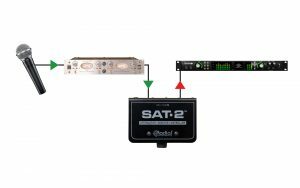 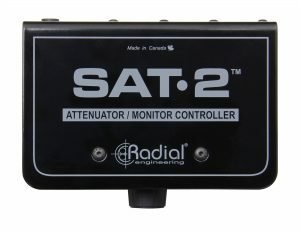 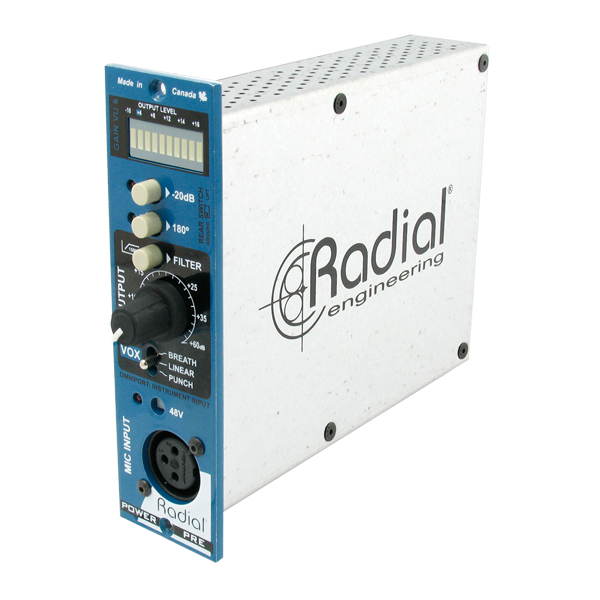 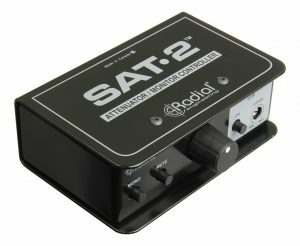 The SAT-2 can also be used to attenuate signals before sending them to your audio interface, so you can drive your mic preamps hard for coloration without clipping the inputs of the digital audio converter. 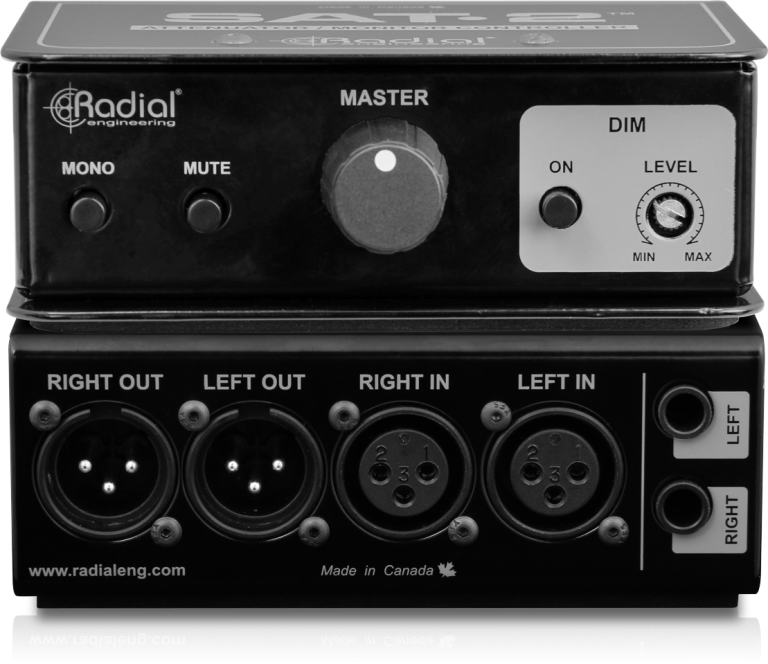 A high quality 4-pole rotary knob ensures consistent L-R tracking over the entire range of the trim pot, fully maintaining the left-right balance of stereo sources. 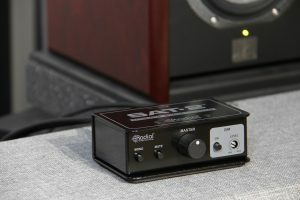 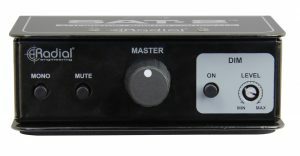 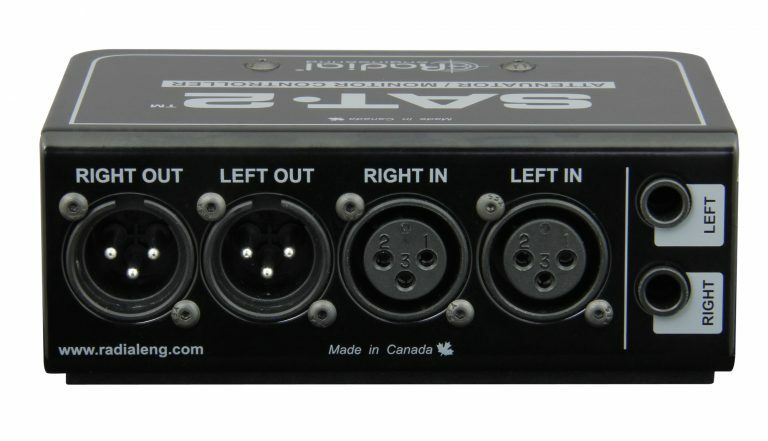 Connect between your audio interface and powered speakers, utilizing the level control as well as the dim and mute switches. 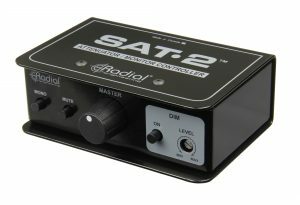 Use the trim control on the SAT-2 to avoid overloading or clipping the inputs of your recording device, while retaining the character of your preamps cranked up to their sweet spot. 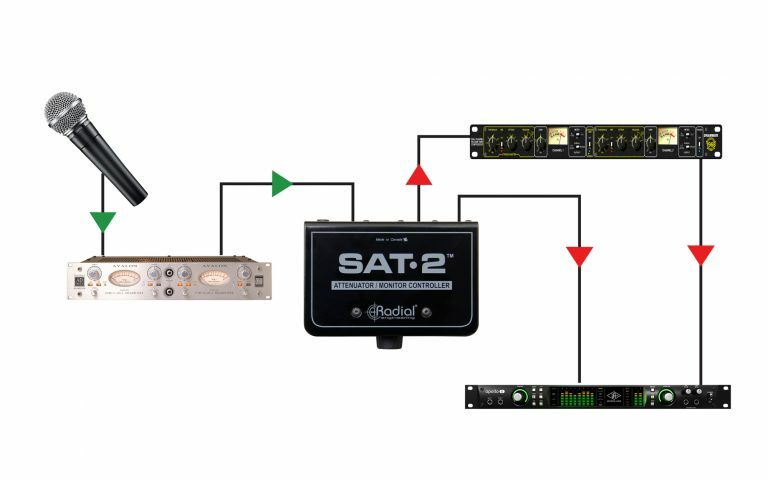 Take the output of a mic preamp into the SAT-2, engage the mono switch, and connect one of the SAT-2 outputs directly to your recording interface, and the other to an effects device and then to a second recording track. 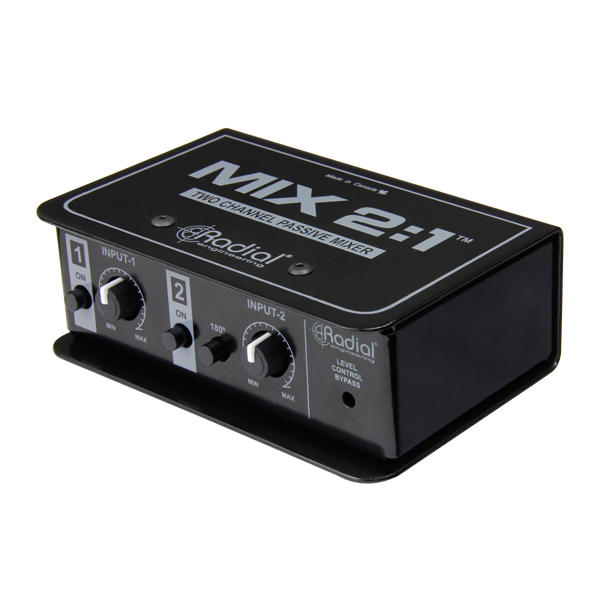 You can then adjust the blend between the two tracks in your DAW. 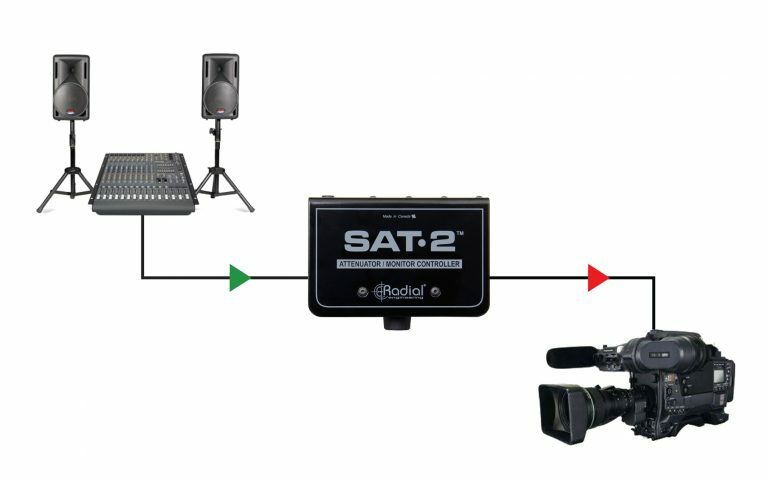 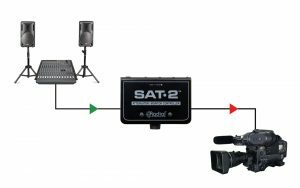 Use the SAT-2 to trim down the output of an aux on a mixing console and feed production audio to video cameras or field recorders. 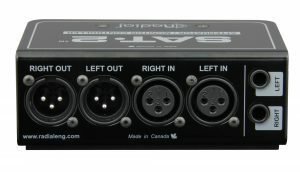 Interface between the aux output of a PA mixer and powered speakers in another room in the venue, providing local volume control for each zone.